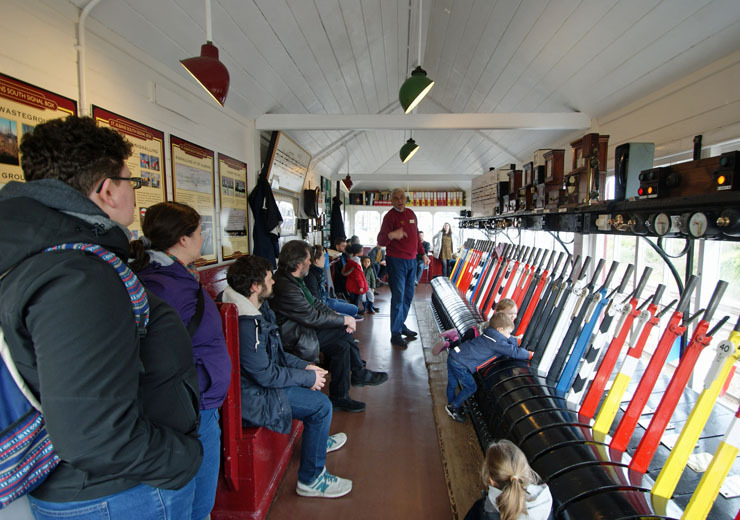 The final open afternoon of 2018 on December 9th saw 72 visitors to the box, making a total of 2,425 for the whole year. This is a slight drop from 2017's record of 2,709 visitors, but is still pretty good going! 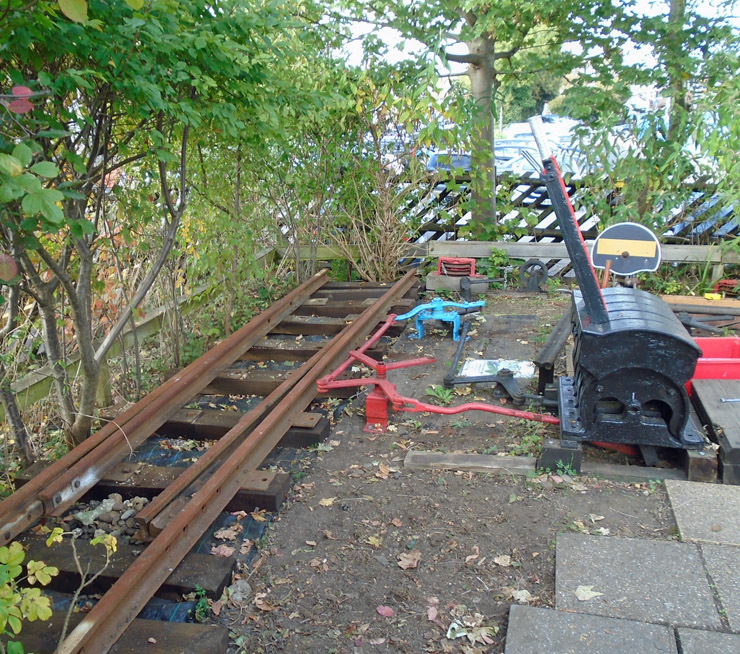 Final photo of 2018 is of the narrow gauge point, realigned ground frame and the other signals now reconnected ready for visitors to work in 2019. We now have two major projects on the go - both these projects will take a few months to complete, hence our reporting several months together. 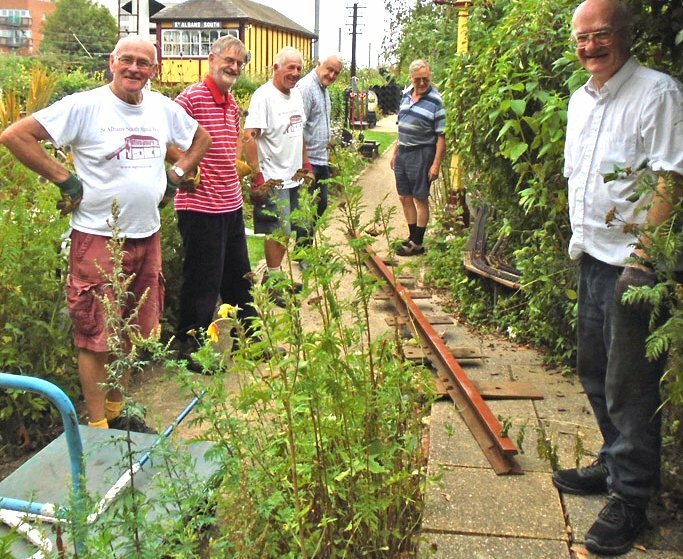 They are the resiting of the ground frame and connecting it up to the narrow gauge point and the installation of a "Tea Shed" to give those serving refreshments to visitors and volunteers better shelter from the British weather - together with some space for visitors to shelter as well! 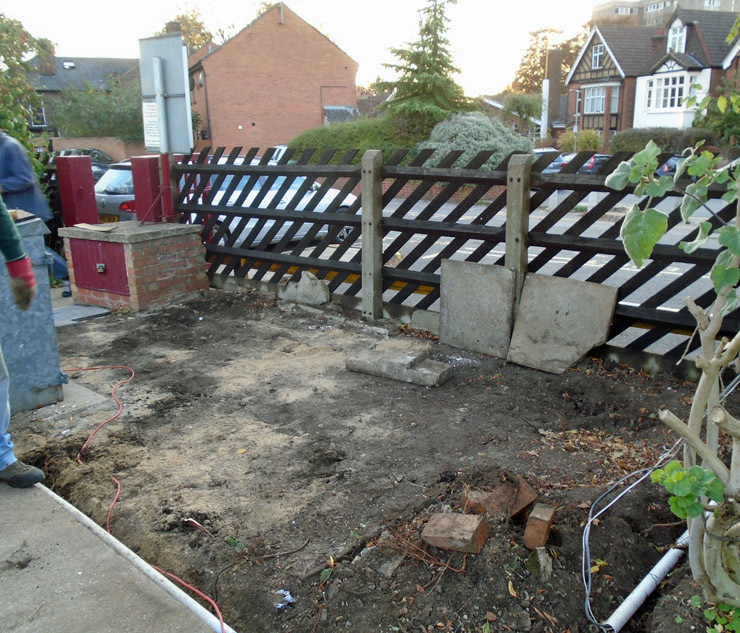 Photo 1: Ground cleared of plants in preparation for removing and resiting ground frame and associated equipment. 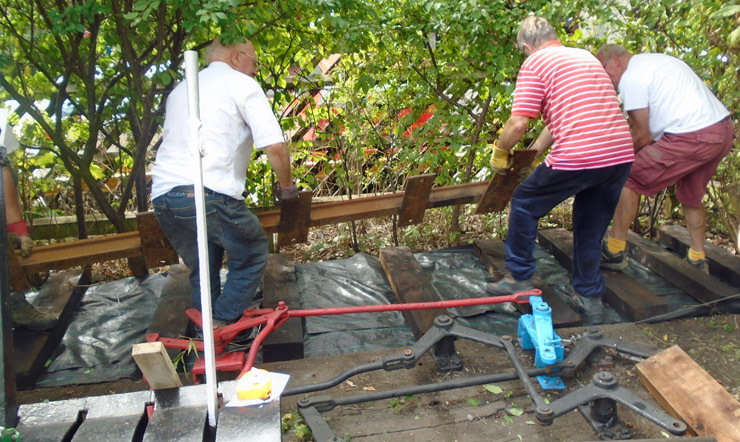 Photo 2: First stage in resiting the ground frame - new bearers in place with frame base. 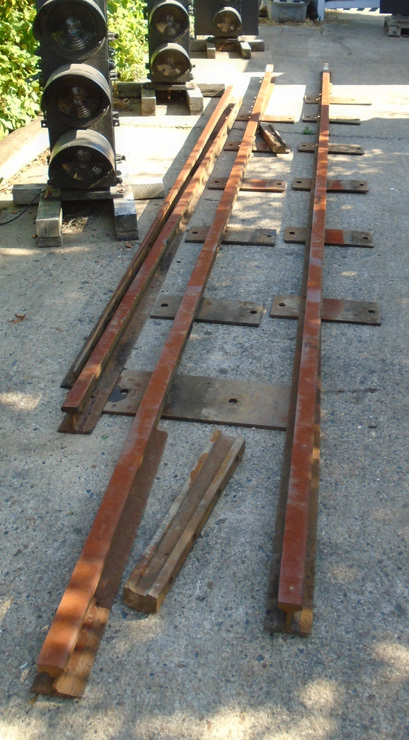 Photo 3: With the base firmly fixed and point rodding in place, the frame is now being reassembled. 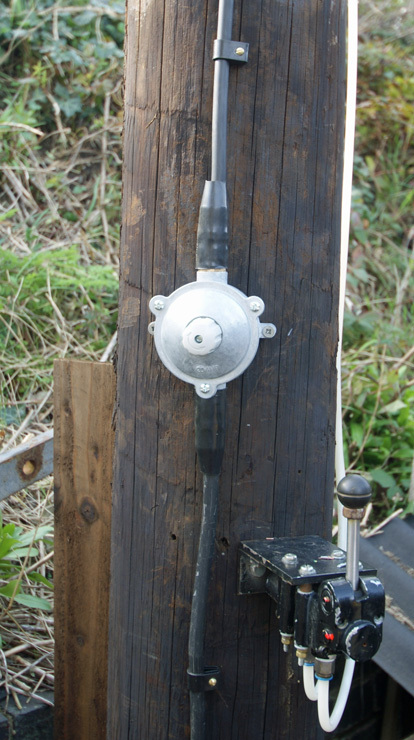 Photo 4: The point now has a tiebar linking the two point blades and giving an attachment point for the operating rod. Photo 1: The shelter being completed in January 2014. Photo 2: The shelter being demolished in late October this year. 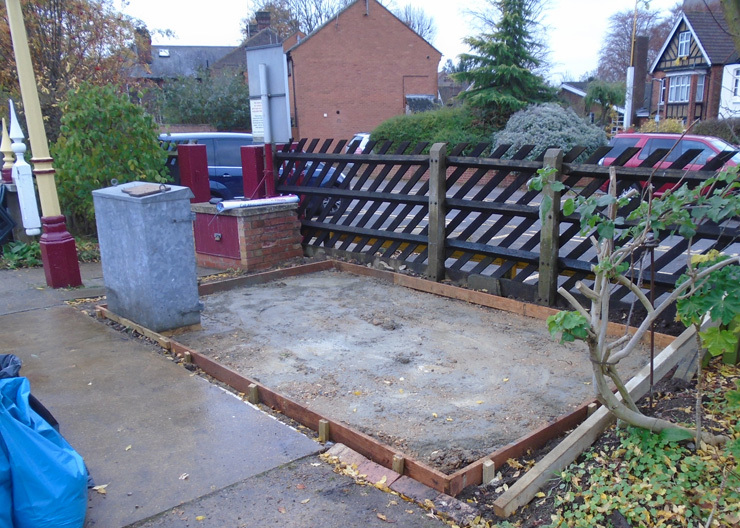 Photo 3: The cleared area - this will see a concrete base laid on it shortly, followed in late November by the erection of the shed itself. 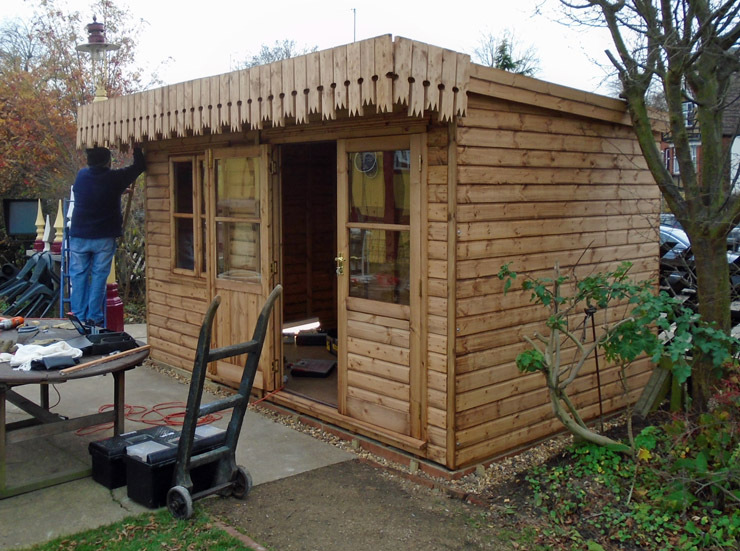 This is a large purpose-built timber shed being obtained from a local makers, who will erect it for us. 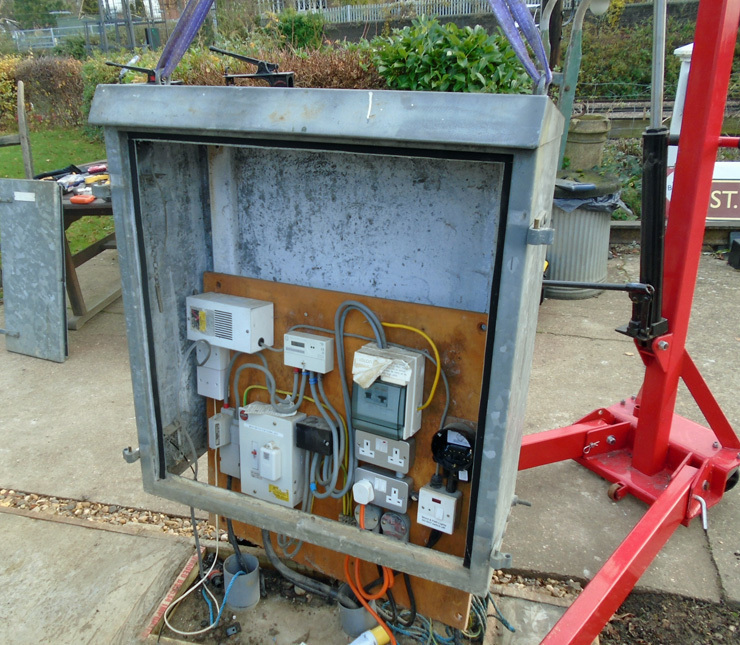 The large 'Location Cabinet' (the grey steel object) houses our incoming mains electricity supply and will remain in place until the shed erection takes place when it will be lifted out of the way (see Photo 6 below) for reuse elsewhere on site. 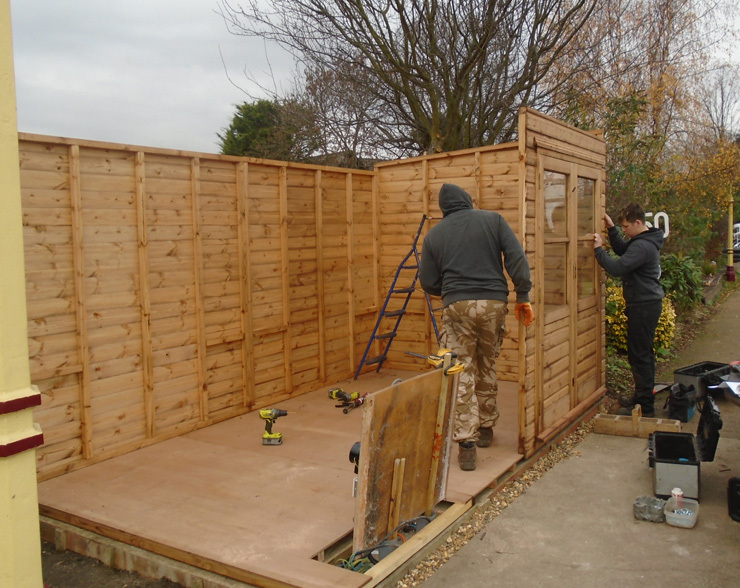 The new shed will then house the supply as well as the tea! 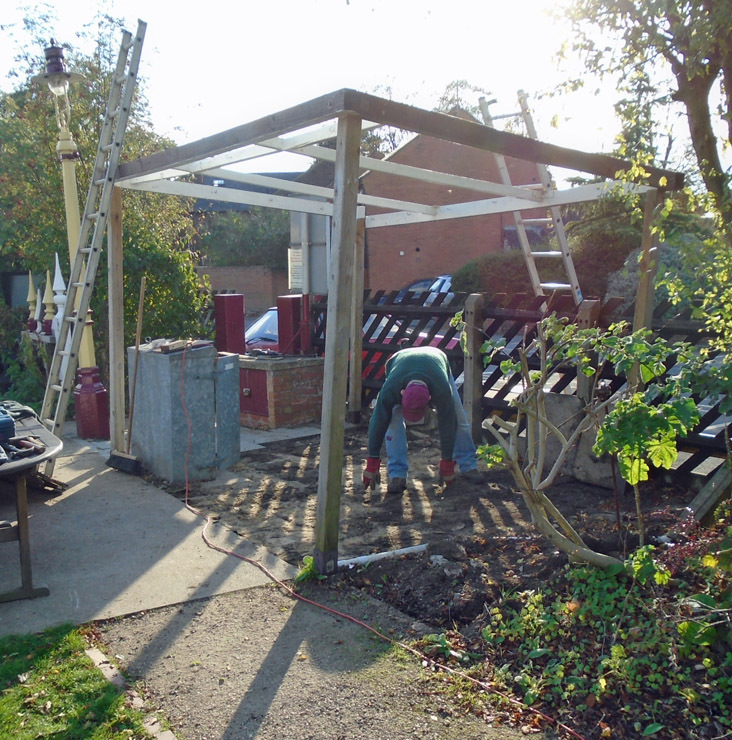 Photo 4: The preparations for laying the concrete hut base as seen on November 15th. 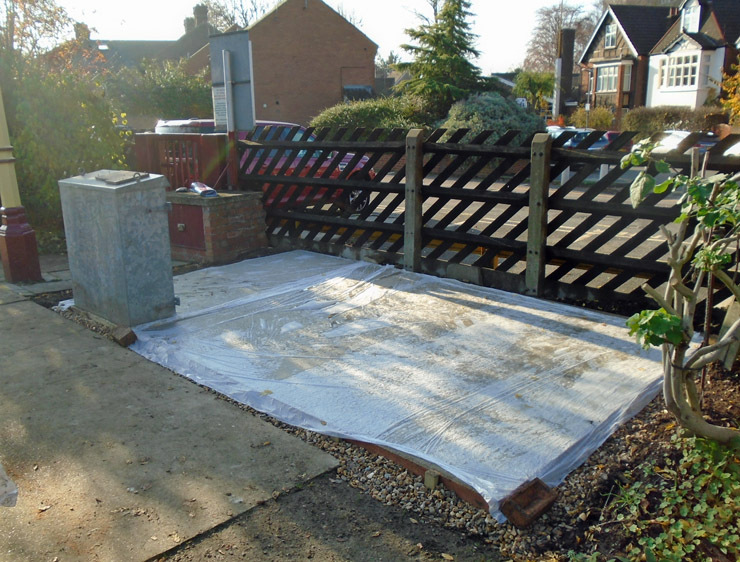 Photo 5: The concrete laid (and protected by plastic sheeting) as seen on the 17th November. Photo 6: The Location cabinet is removed - not without some difficulty - by three members. 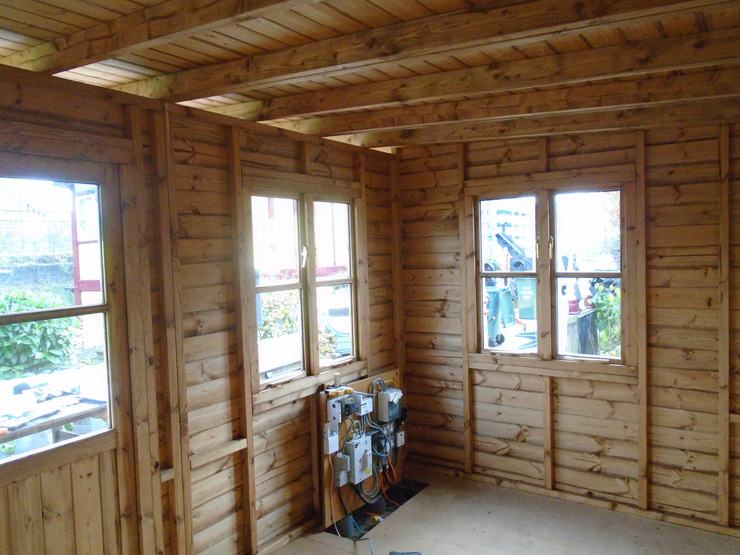 Fortunately it was a dry day and we didn't have to cover the electrics up while the hut was put up. Photo 7: The contractors started about 9.30am, and by soon after 10am had laid the floor, got the back and one end up and were starting on the front doors. Photo 8: The first interior photograph, just after the roof was placed in position around 10.30am. 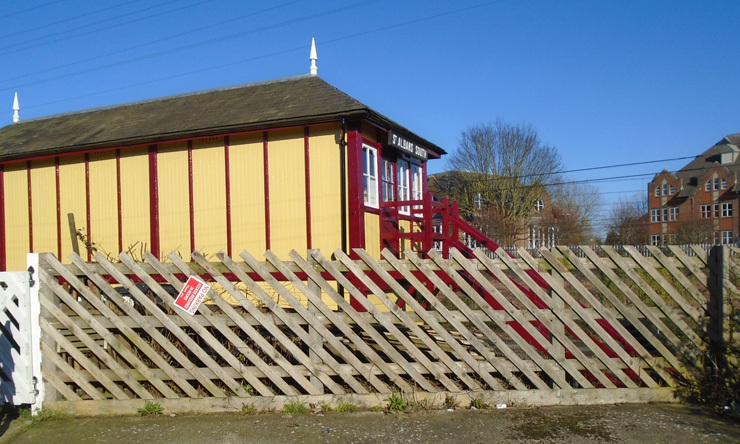 The electric supply is now inside the shed but awaiting fixing in place. Photo 9: Completed before 1pm! 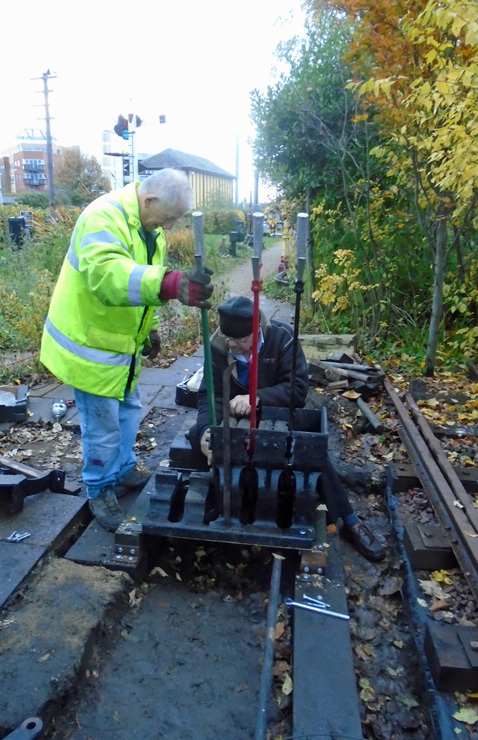 One member makes a few adjustments to the valance end. 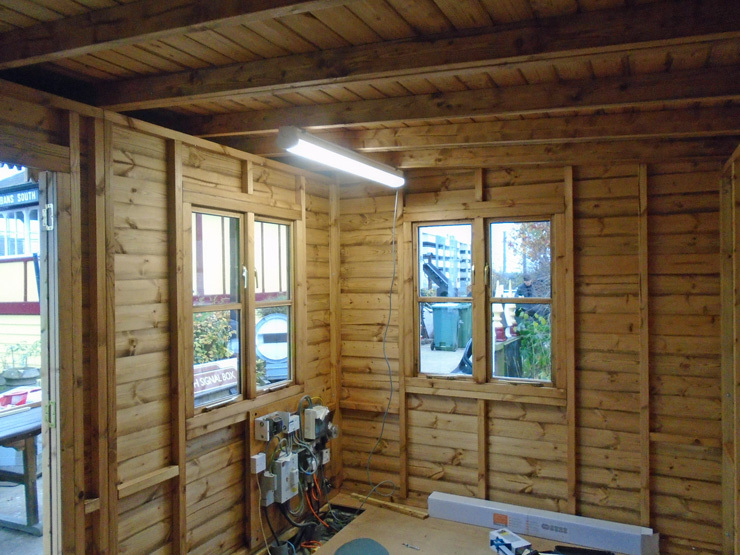 Photo 10: By around 3.30pm the electrics board is firmly mounted to the front wall of the shed, and a temporary light fitting put up so we can see what we're doing when it comes to fitting out the shed. 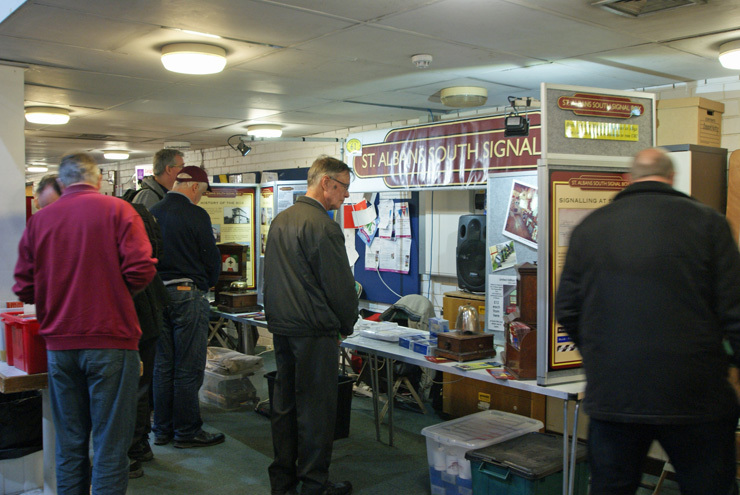 The extended opening on these two days saw 469 visitors come to the box to see a number of special displays and demonstrations. Some of these are illustrated below. 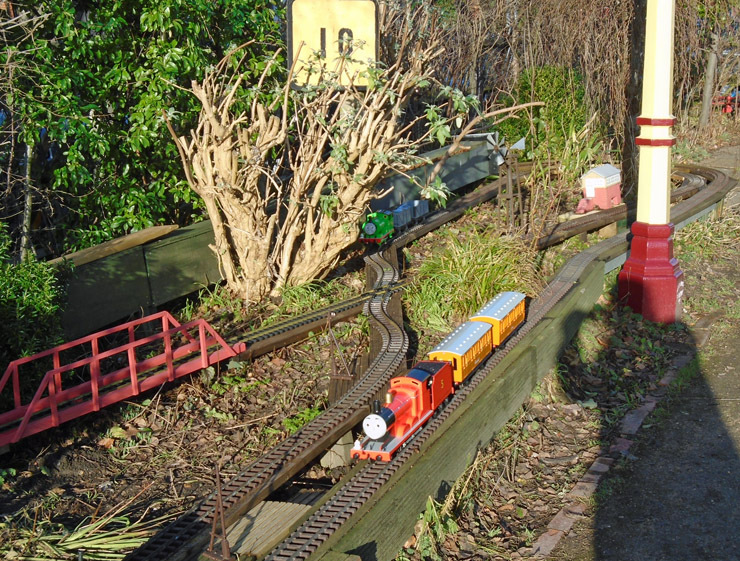 Photo 1: A model of a Johnson Single in 5inch gauge - the prototype locomotives were built by the Midland Railway in the 1880s. 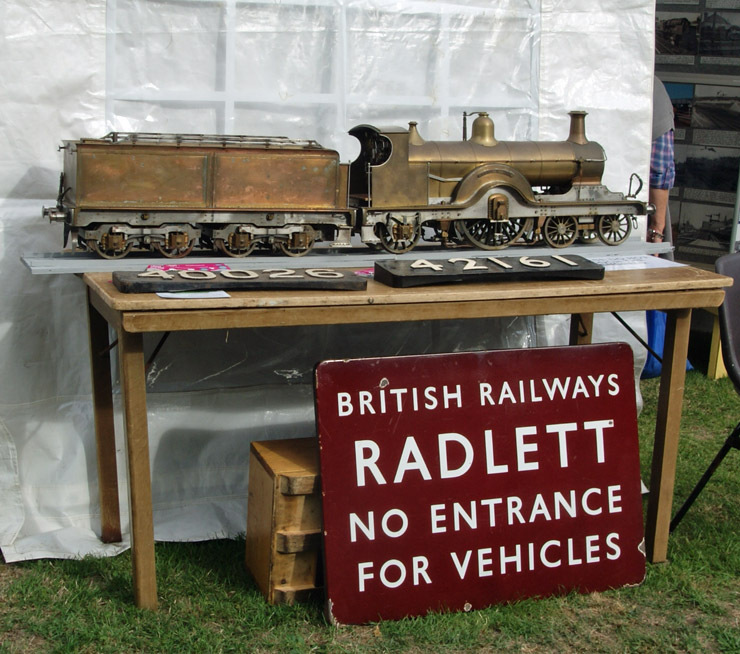 Note also the sign from Radlett. Photo 2: More Signs and Totems. 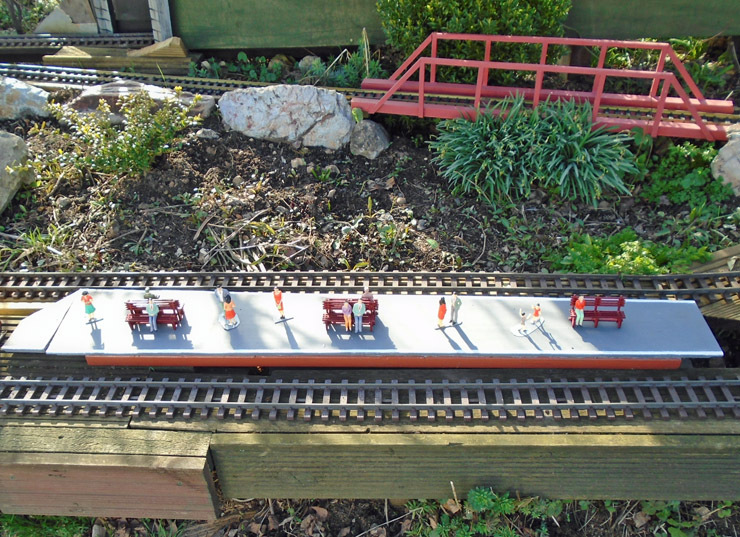 Photo 3: A 5inch gauge model of a "Crab" - the LMS built these locomotives from 1926 onwards. Photo 4: A collection of 4mm/foot (00 gauge) locomotives whose prototypes all passed through St Albans City station at sometime or another. 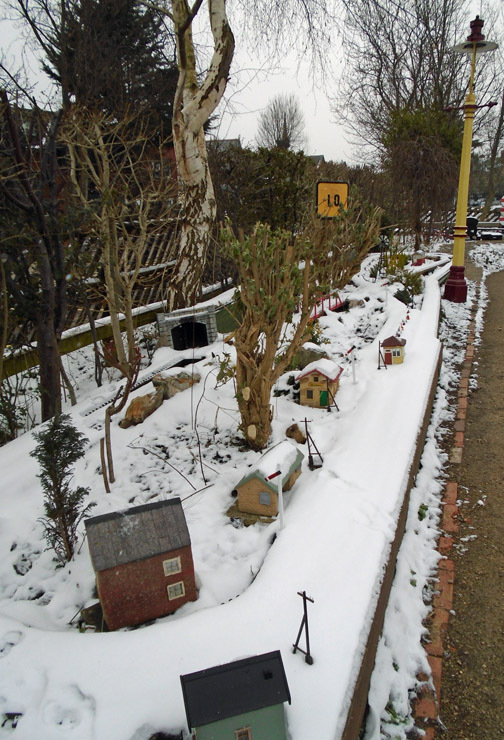 Photo 5: The working model railway with a member's collection of characters from the Revd Awdry's books. 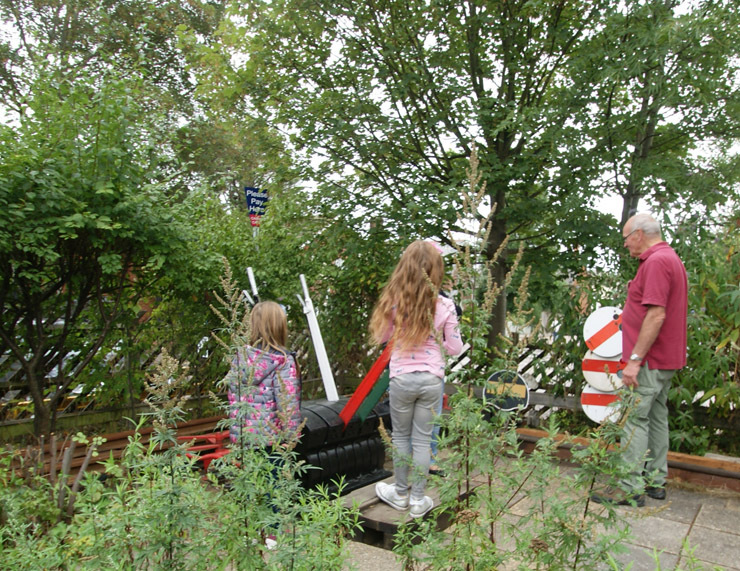 Photo 6: Two young visitors work the Midland Railway ground frame - note the temporary placing of the yellow/black ground signal, mentioned in July's report below, next to the other ground signals. 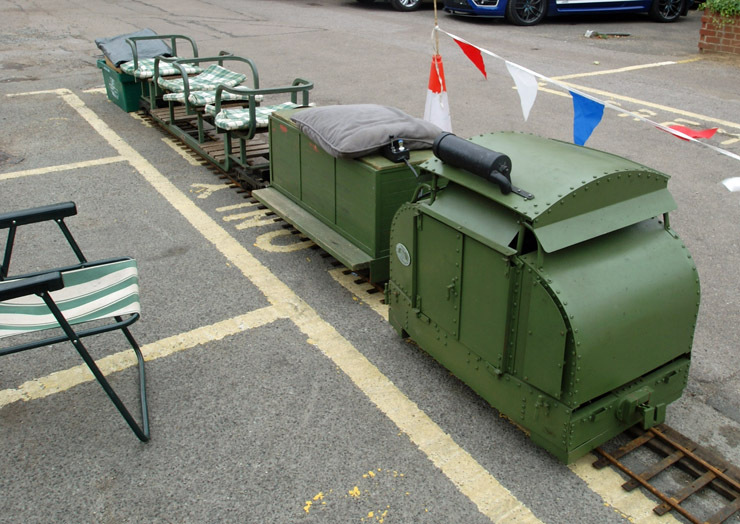 Photo 7: Our passenger-carrying railway in the carpark took on a "Great War" theme with this model of a Simplex Armoured locomotive as used to supply the trenches of that conflict. Photo 8: One of our members giving a demonstration on the operating floor of the box, one of some 30 similar demonstrations over the two days. 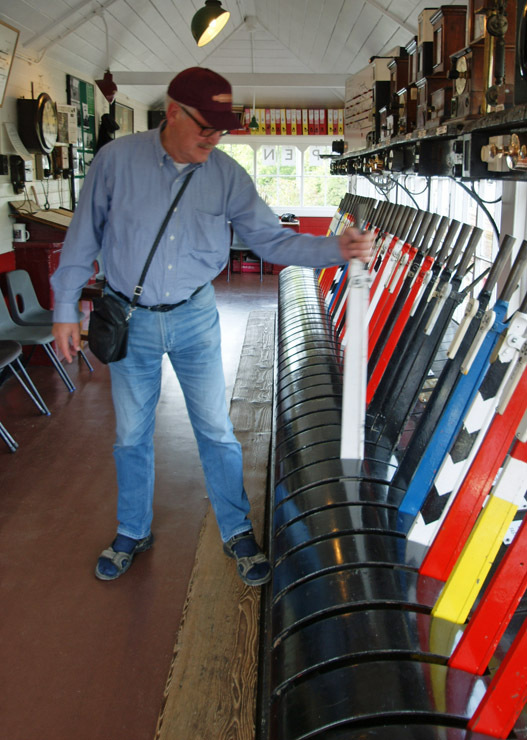 Photo 9: Some visitors were not local - this gentleman is a German signalman who called in to see us! 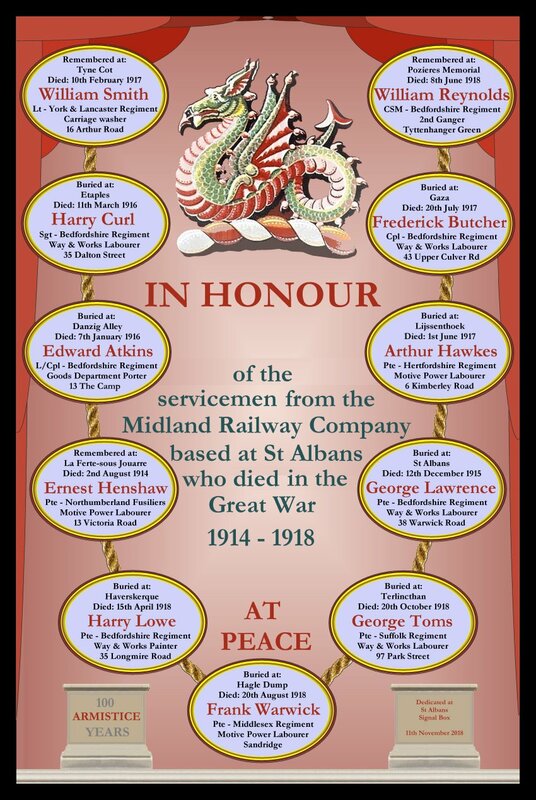 World War 1 - The contribution of Midland Railway employees from St Albans commemorated. There are 11 names we were able to find; for each one we have given their name, rank, regiment, date of death, where buried (if known), their job on the railway and where they lived - again if we could find that out. 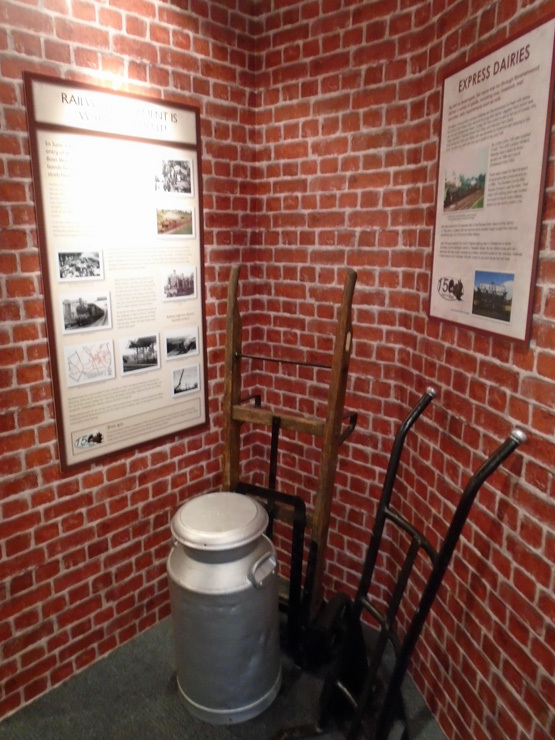 If you visit the box we'd appreciate hearing your comments about this display - if we get many favourable comments we will consider making some form of more permanent memorial. 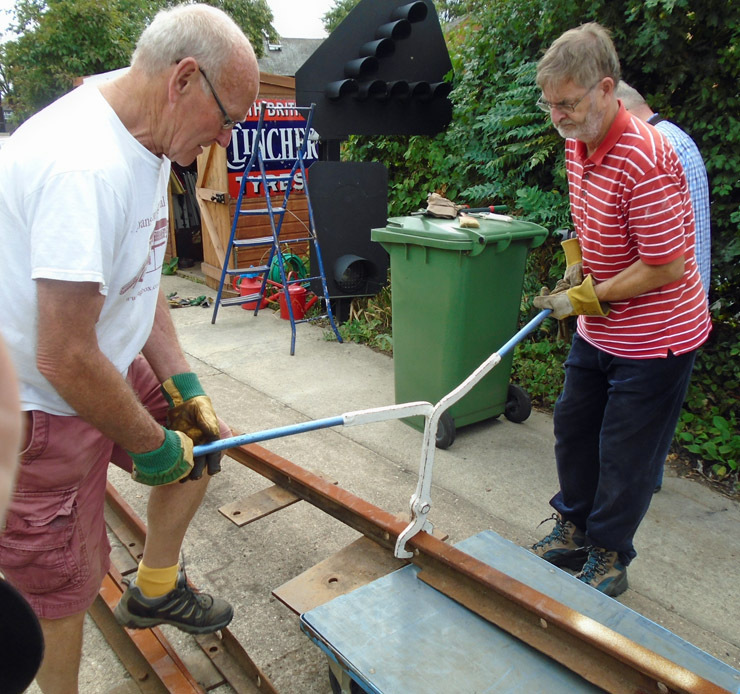 Photo 2: Using one of the few permanent way tools we have available, one end of a stock rail is placed on a trolley. Photo 4: and lifted by some 6 to 8 members, is moved into position. 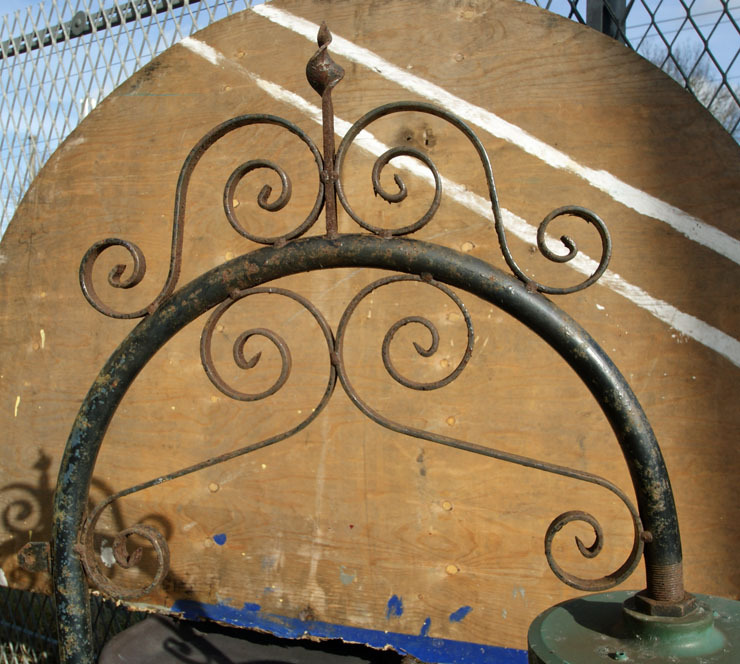 Photo 6: and here it is threaded through the plant life. Photo 7: The first point blade is lifted into its place. Through contacts by the same member who got us the ground disc shown in July's news (see below), we were offered an unwanted pair of stock rails and switch blades by the Talyllyn Railway, and on the 1st of August two members made the long trip to pick these items up, arriving back at the box near the end of our Wednesday Working Party afternoon where everyone joined in to lift the parts off the trailer (Photo 1) and lay them out by the 4-aspect signals as a temporary measure (Photo 2). 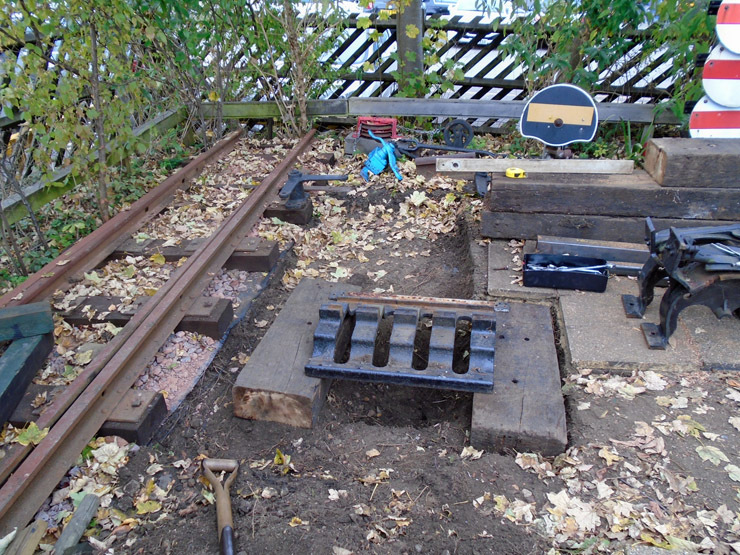 Considerable work will needed to prepare a suitable area to set up the demonstration points and connect to one of our ground frames - watch this space! 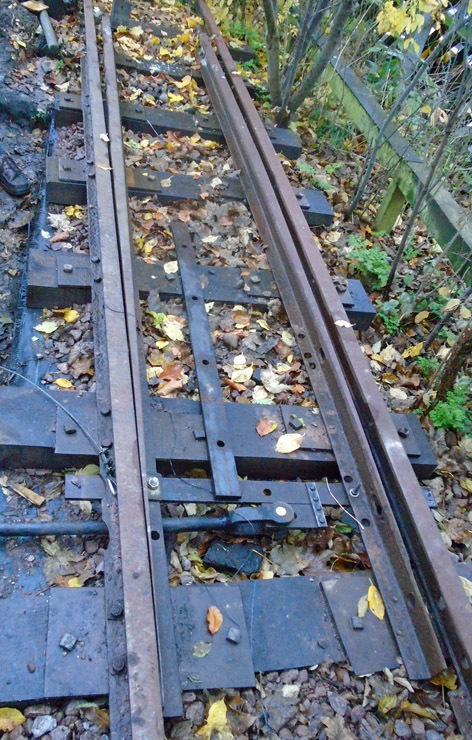 This is a signal which allows shunting moves to be made past it when at 'caution' and is only cleared for a movement onto an adjacent running line; it make an interesting contrast to the more usual white and red ground signals we already have. It is flood-lit, hence the absence of the coloured lenses and a lamp housing. 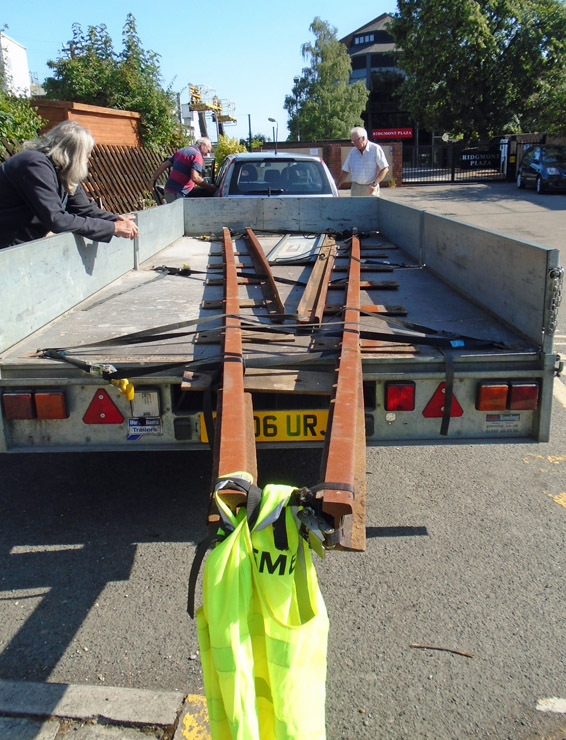 It is typical of Southern Region practice and came from the Petersfield area courtesy of Network Rail. 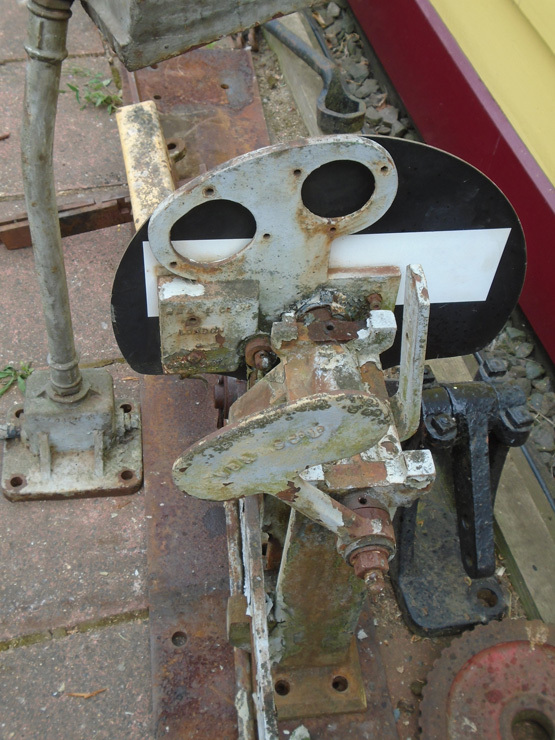 The rear view in the central picture shows that this signal was converted from a more traditional signal with a small arm; the main casting is dated 1942. 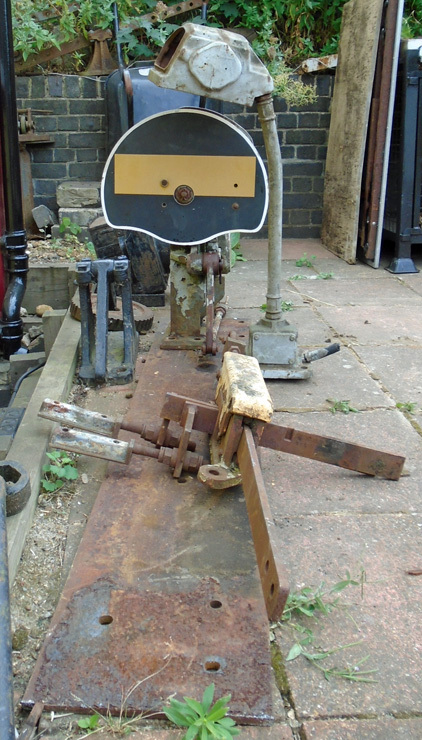 Work continued for the rest of the month in freeing-up the ground signal and cleaning the point detector of the considerable quantity of old grease that had built up over its working life. The new fittings are fitted with 5W LED lamps, cutting consumption by a third, and giving more light without any 'warm-up' time. 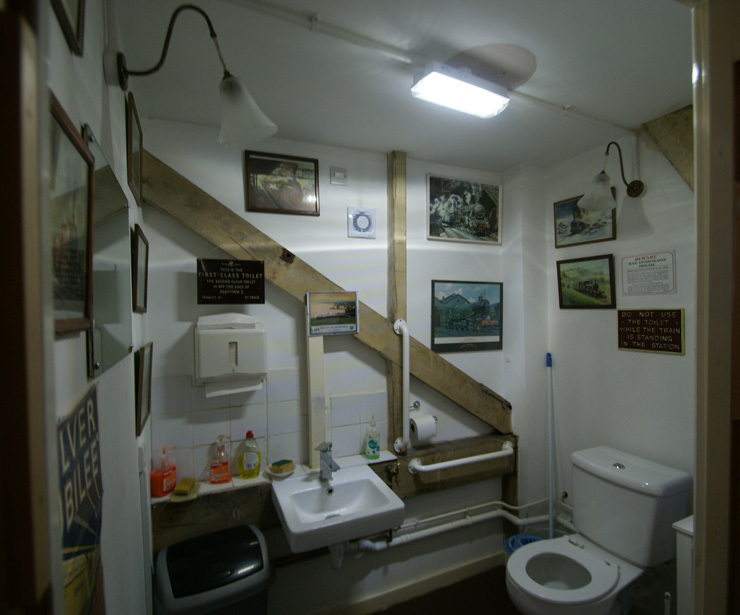 We've also taken the opportunity to fit an emergency light fitting - the toilet has no windows and users could be left in the dark in the event of a mains failure, something we managed to overlook in the design of the electrical system eleven years ago. 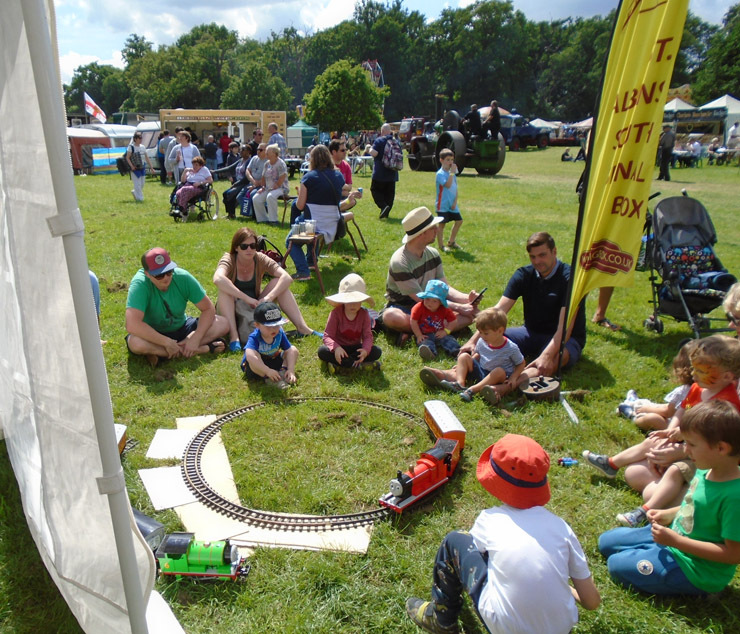 June started off with what has now become our regular attendence at the Hertfordshire Steam Fair, held in the grounds of Oaklands College, with our large marquee. 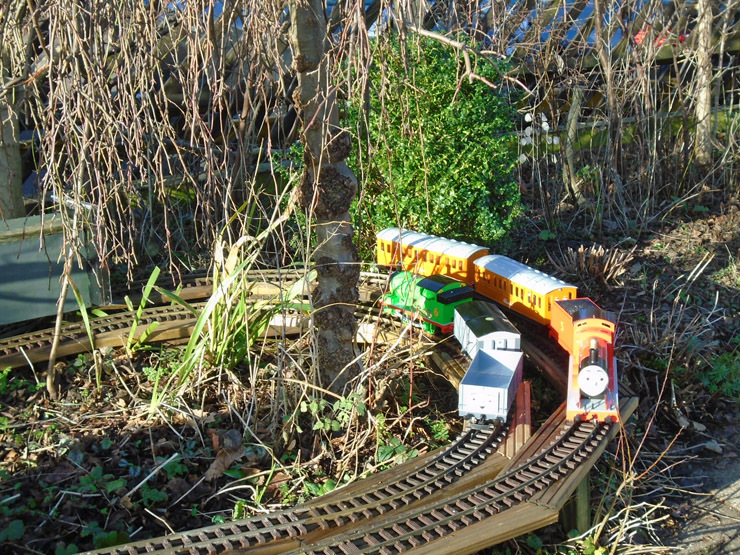 We took a new exhibit of a simple circle of track and had one or other of our two garden railway engines running round it. As the right-hand photo shows, this got surprisingly popular at times! 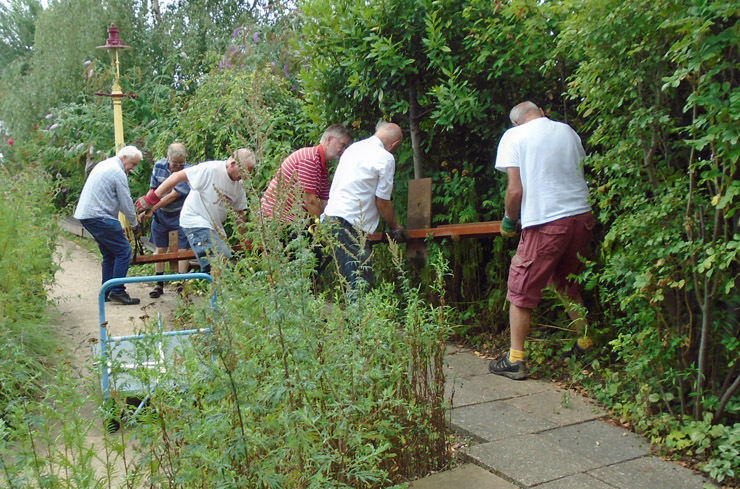 For the rest of June we continued back at the box keeping the garden under control in the increasingly hot weather, working on the lever frame and other maintenance work. 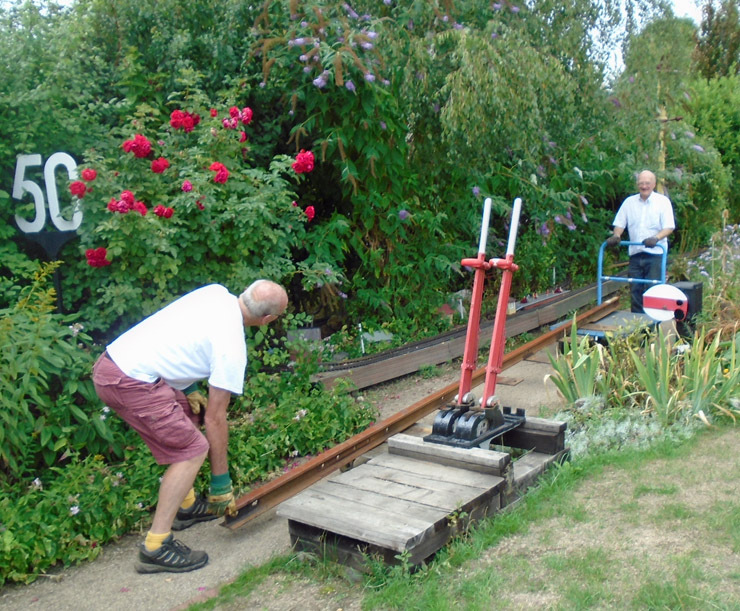 Out in the garden we put in an extra pulley to take the wire from the LNWR ground frame to the Midland Railway main signal away from the ground signal, on which it had been catching. 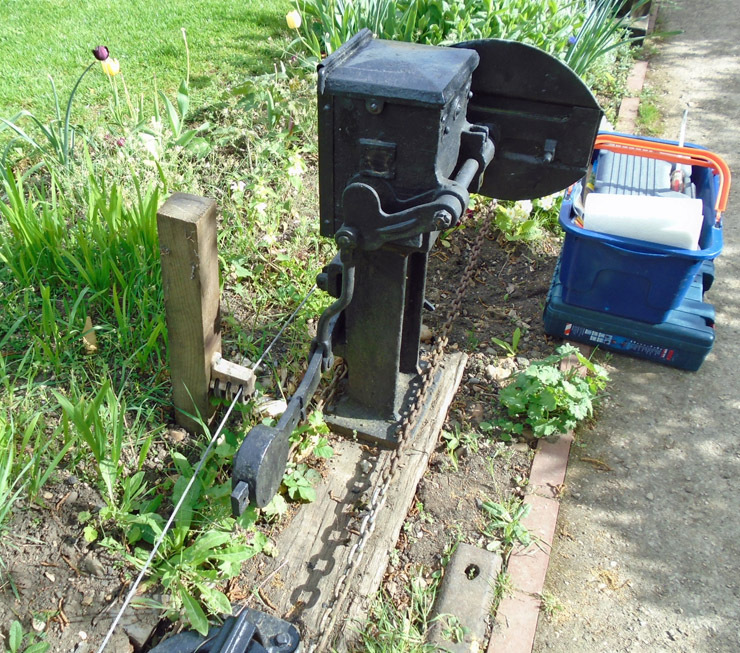 Further work took place on the wire run from lever 32 in the box to the other Midland Railway signal - this had become rather stiff to work, and a seized pulley was found in the run. 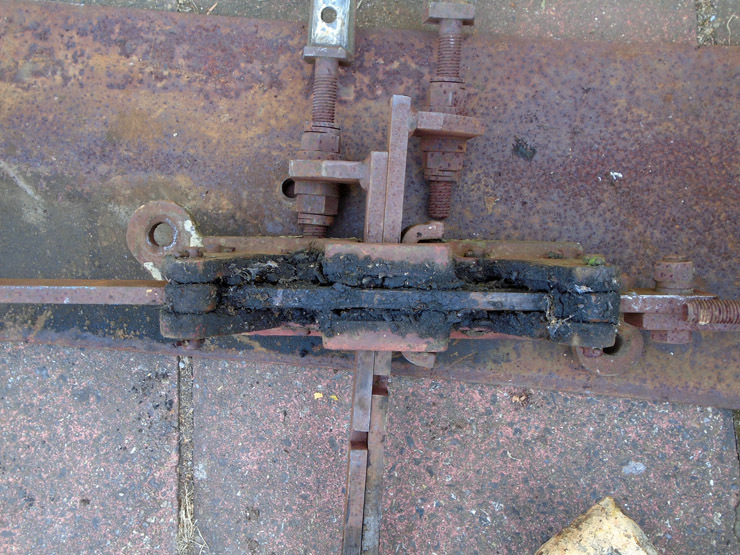 With this pulley freed up, the stiffness was successfully removed. 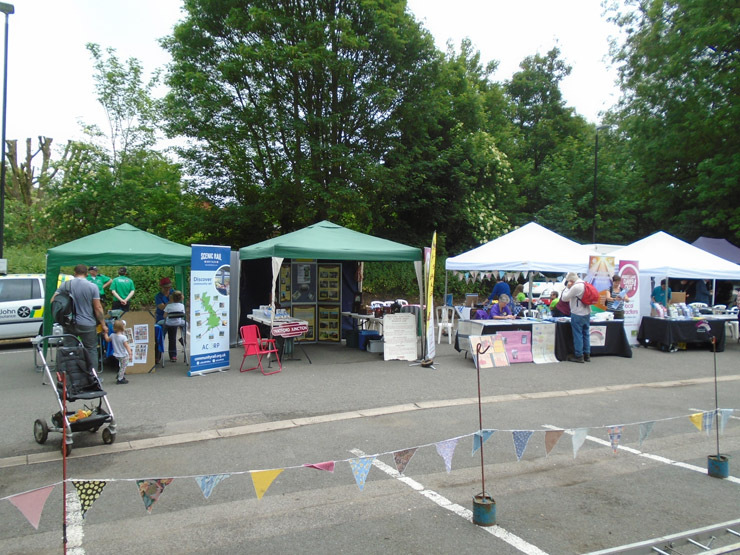 At the end of May we attended the Community Rail Partnership "Family Fun Day" at the St Albans Abbey station with our Publicity stand. 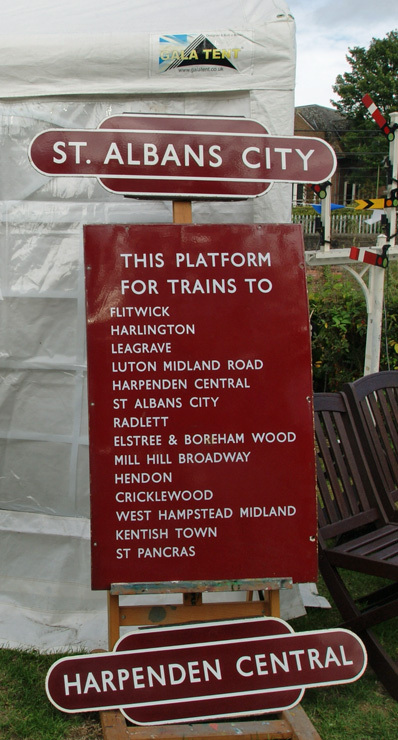 On loan from one of our members was an old British Rail sign displayed at one of the line's stations. 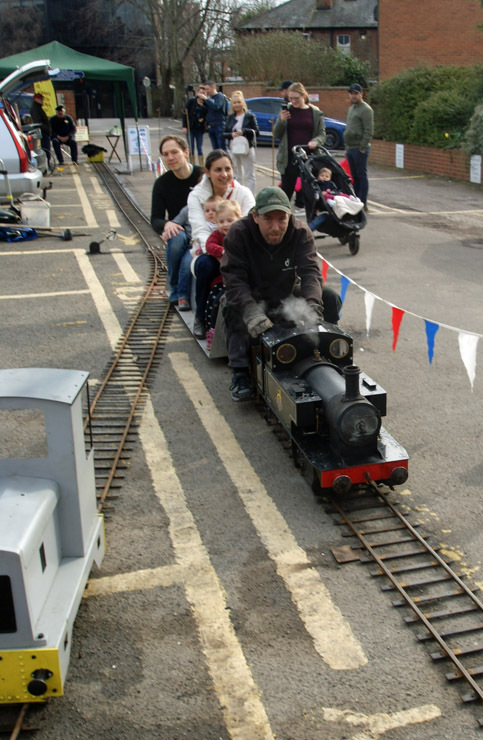 Ryan Frake thought that he was just travelling home with his family from Margate to Nottingham on Sunday 8th April. 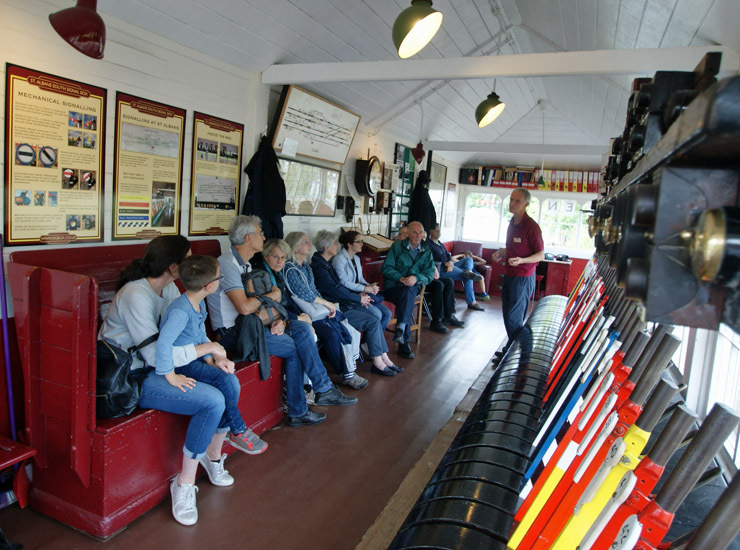 However there was a surprise in store for the nine year old railway fan as the family diverted to visit St Albans South Signal Box on our public open afternoon that day. 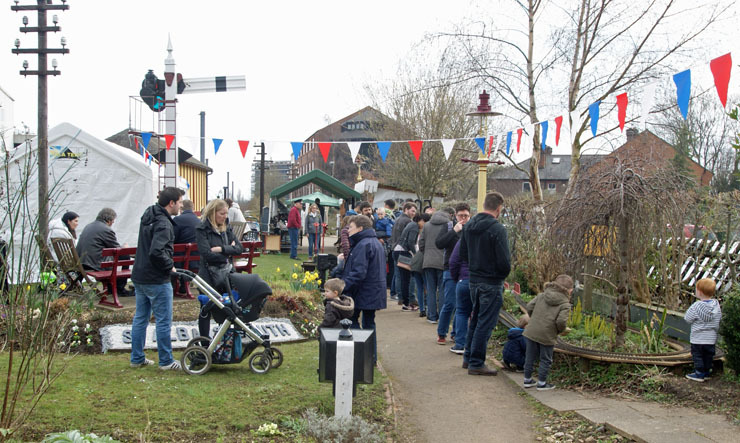 Not only that but Ryan turned out to be the 20,000th recorded visitor to the Signal Box since it began open days in 2008. He was presented with the souvenir entry ticket. Ryan's Dad Bob said that the visit had been planned for a long time and the family were not disappointed. 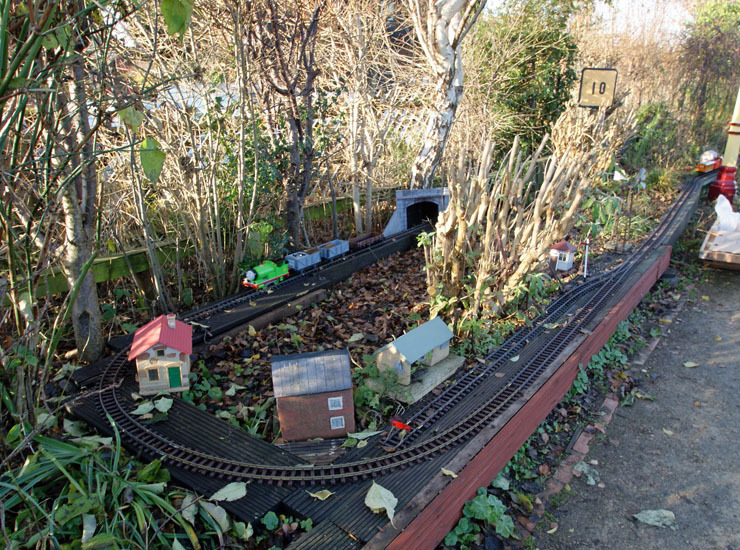 "Our son Ryan was fascinated not only with the signal box, but the passing trains too. 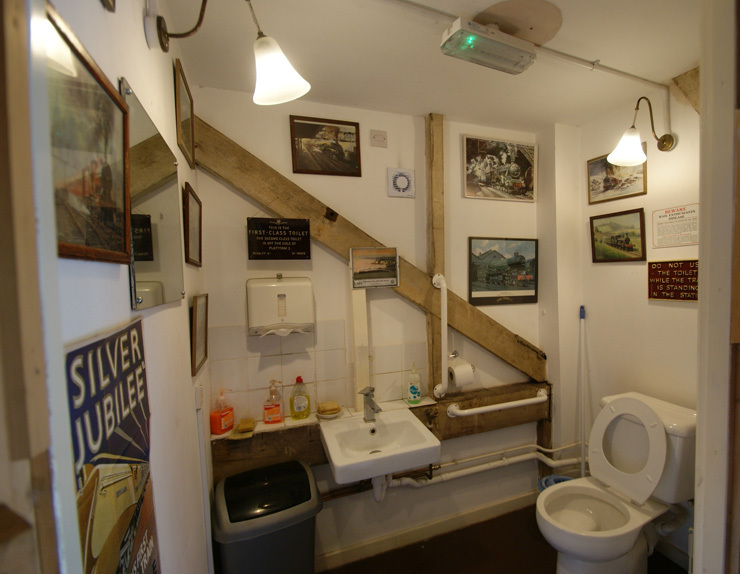 The day out was made even more memorable by him being awarded the title of the 20,000th visitor." 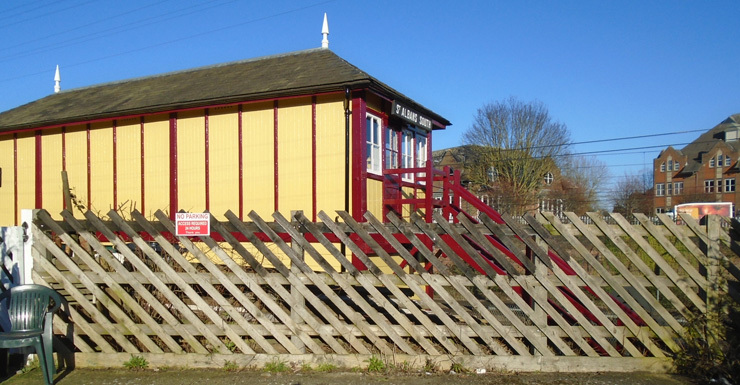 Signal Box Trust Chairman, Tony Furse, commented that it was a huge achievement on the part of the Trust and its members to have reached this milestone in the story of St Albans South Box and its restoration. 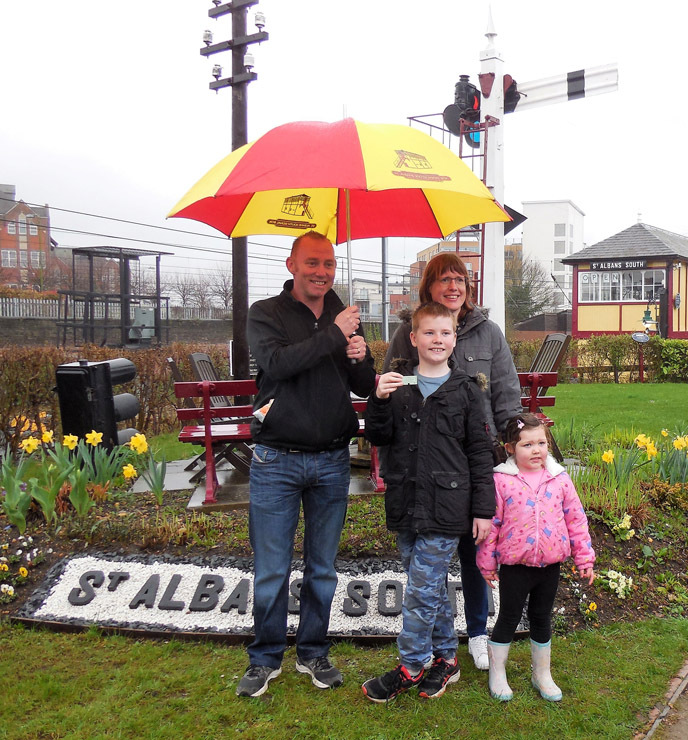 It was a delight to welcome Ryan and his family along with all the other visitors who ventured out on what was a miserably wet afternoon. The photograph shows Ryan holding his souvenir ticket along with his sister Erin and parents Bob and Cath. 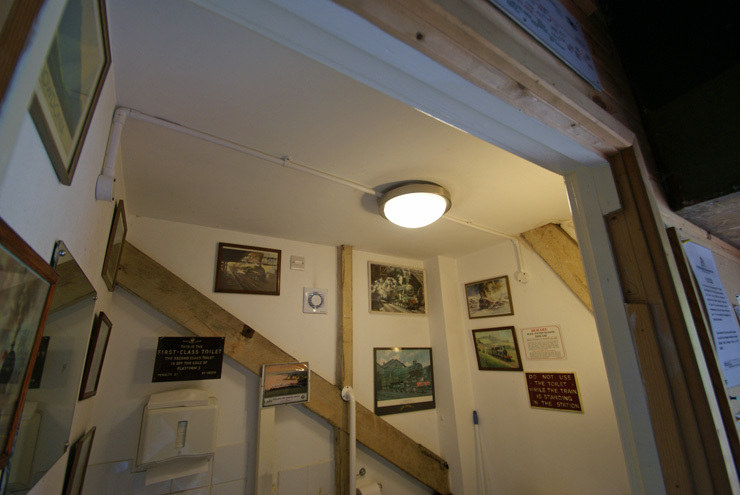 In June 2016 we erected two old telegraph poles with the intention of fitting them with railway lights of some type to light the staircase to the first floor of the box and the area between the box and the lamp hut. 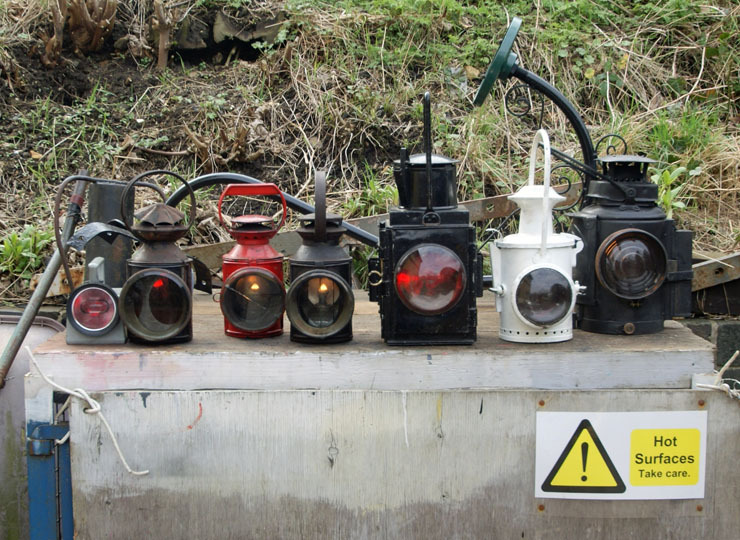 But we looked in vain for the lights to fit on them - until January when two "Station Lights" were spotted for sale on the Internet and were subsequently bought. 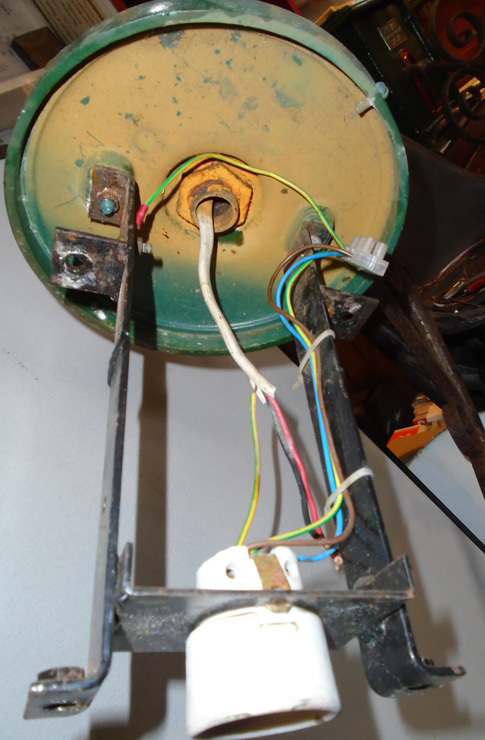 The first two pictures show one of the lights 'as bought'. 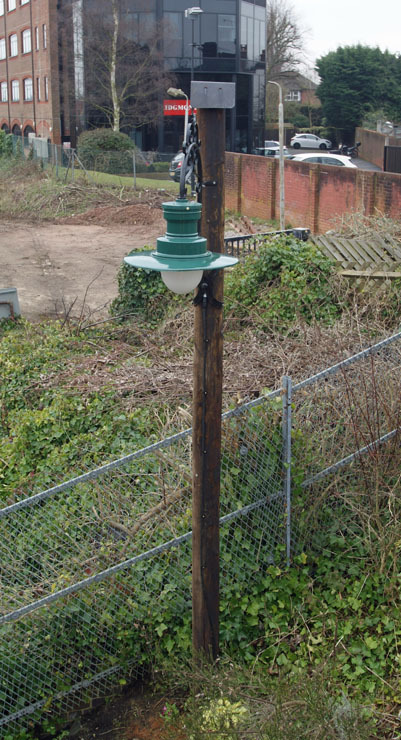 These lamps are thought to have come originally from the Brighton area, hence the green paintwork for the Southern Region, althougth the deep green was popular also with lamp-makers, not just for railway use. 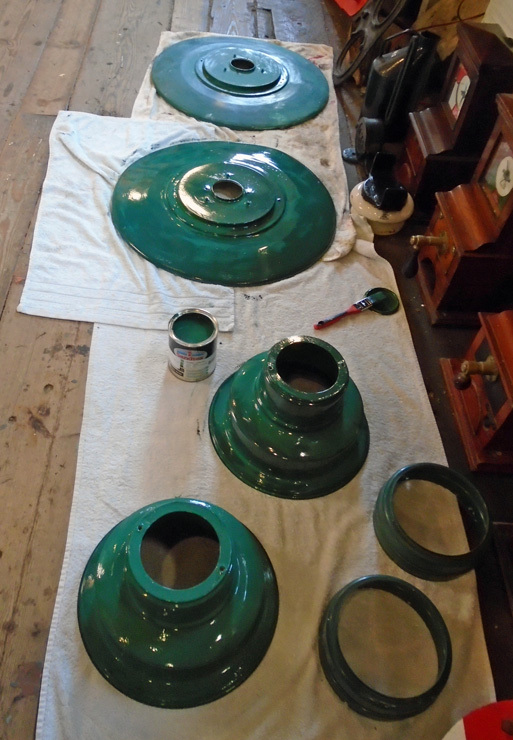 Photo 4: The shades and other parts of the lights after cleaning and while being repainted. 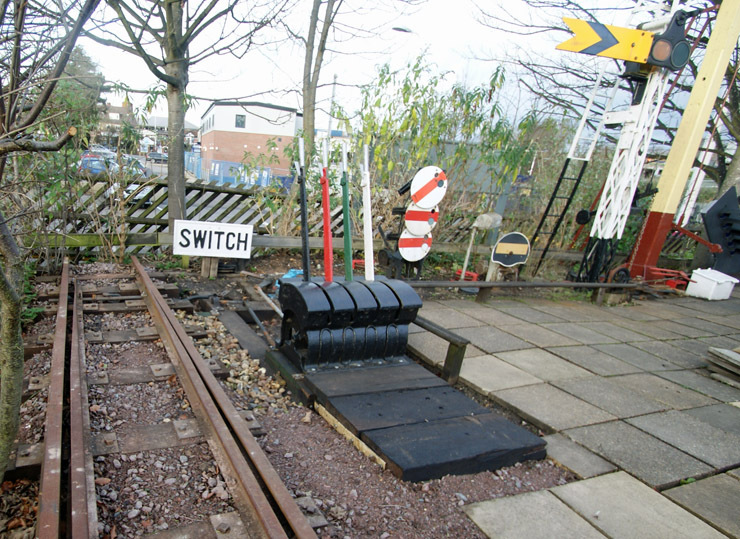 We have managed to get two new metal-clad external waterproof switches, which are in the style of the sort of switch used fifty or sixty years ago, to help keep the right appearance of things by the box. Photo 5: Station light at South end of the box, seen from the box door on the 1st floor. 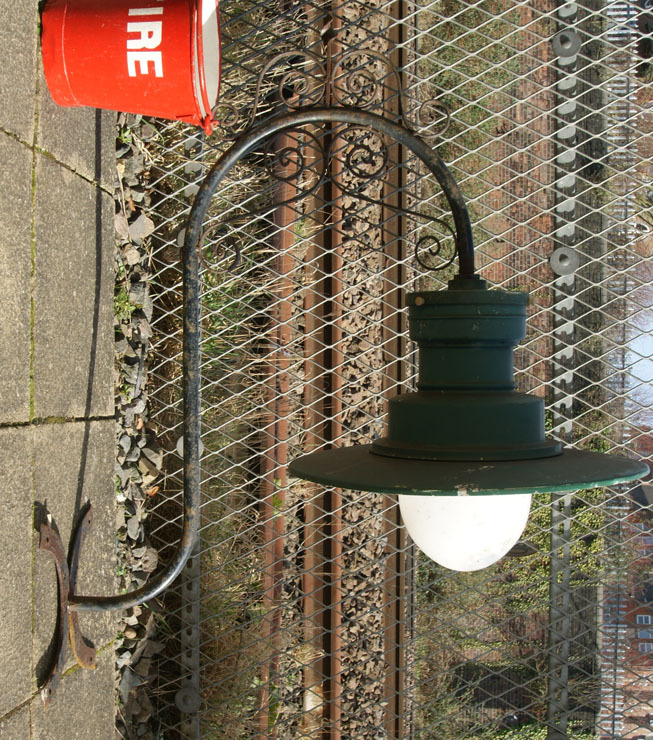 Photo 6: Station light near lamp hut, seen from the window on the 1st floor. Photo 7: One of the new light switches. 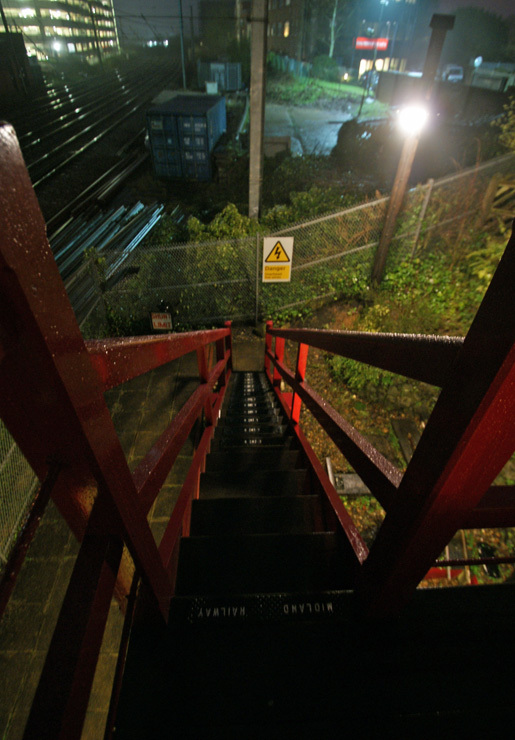 Photo 8: The stairs lit at night by the new light. 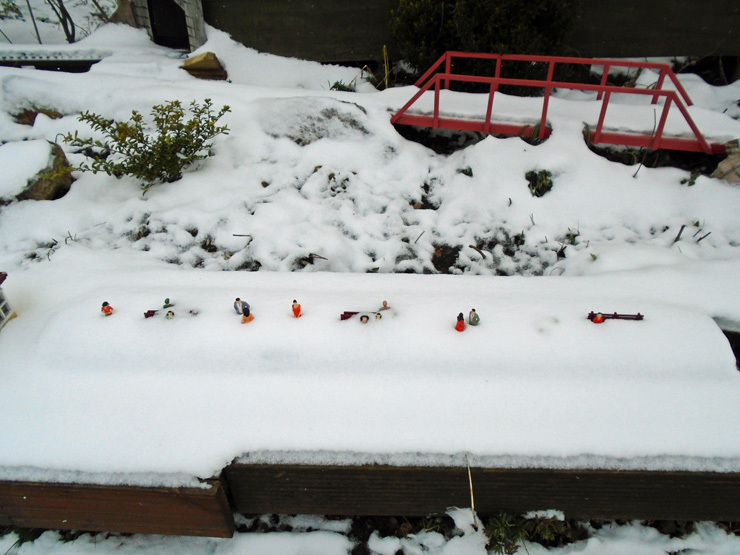 The snow fell twice during March, providing a natural blockage to the running of trains, not only the full-size ones but our model as well. The diagram has also been mounted in a frame for better viewing. This took place on Saturday 24th and Sunday 25th, at the end of English Tourism Week. We had extended opening from 10am to 5pm on both days. 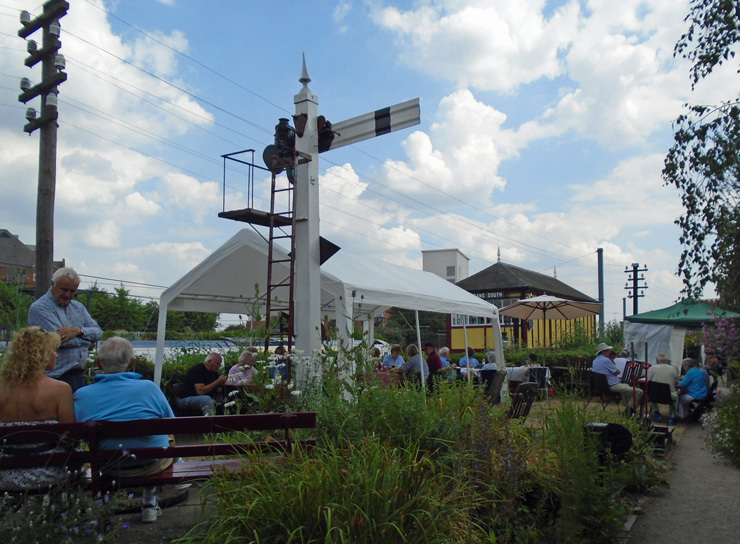 There were 115 visitors on Saturday and 235 on Sunday; 350 in total. Sales and donations made a welcome addition to our funds. 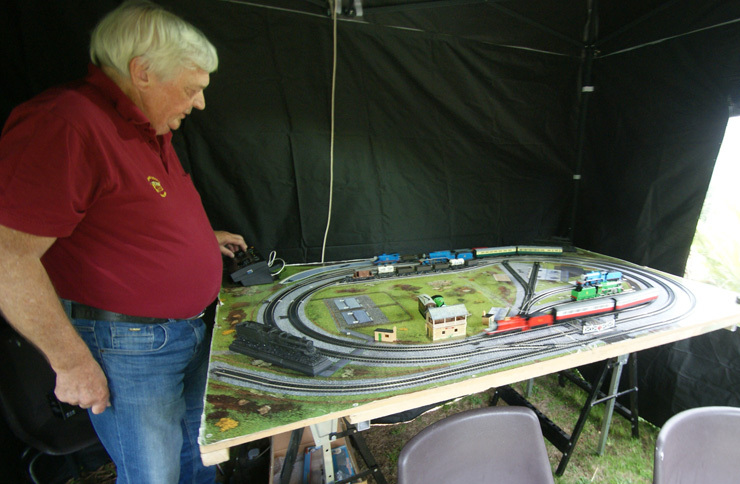 Photo 1: Outside in the carpark, our friends from the N London Society of Model Engineers ran their railway. 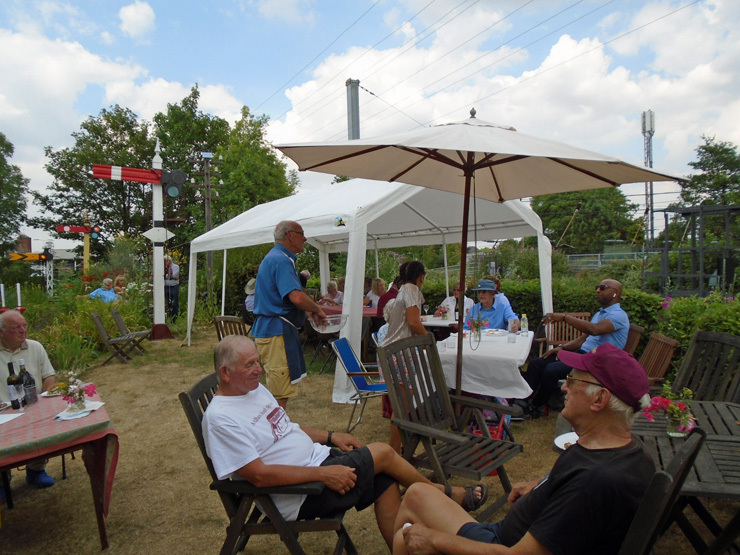 Photo 2: General view of the box grounds - not visible are those serving tea and greeting visitors. 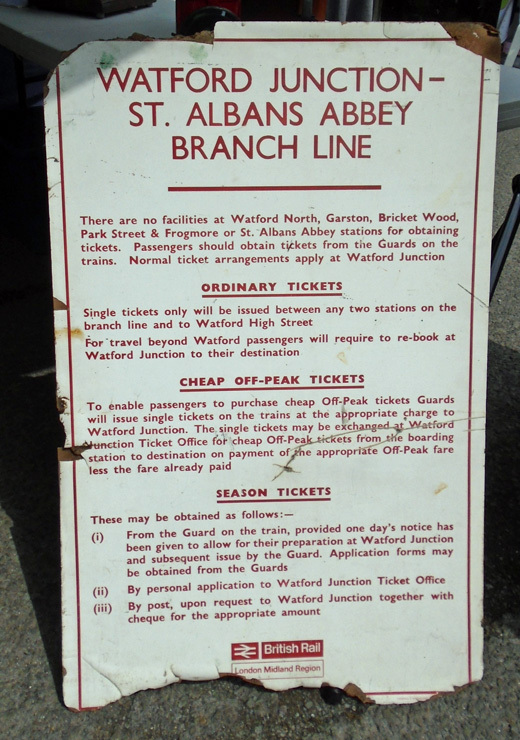 The new St Albans South sign mentioned above is visible behind some of the visitors. 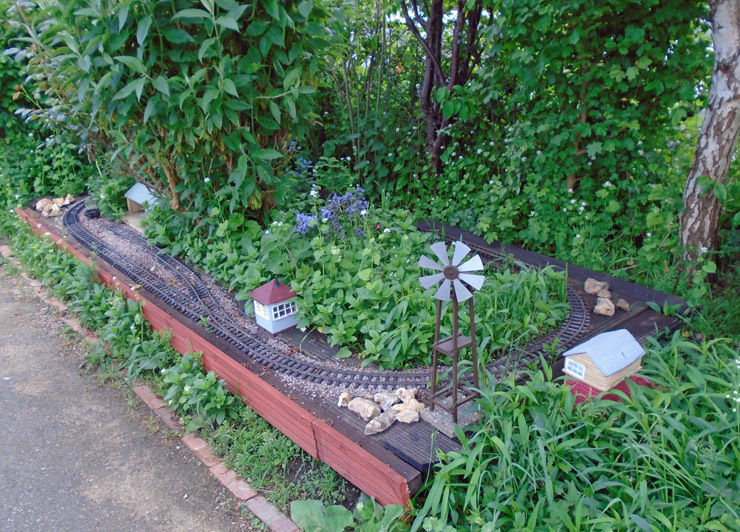 Photo 3: Garden Railway watchers; this was central to many small visitors' attention! 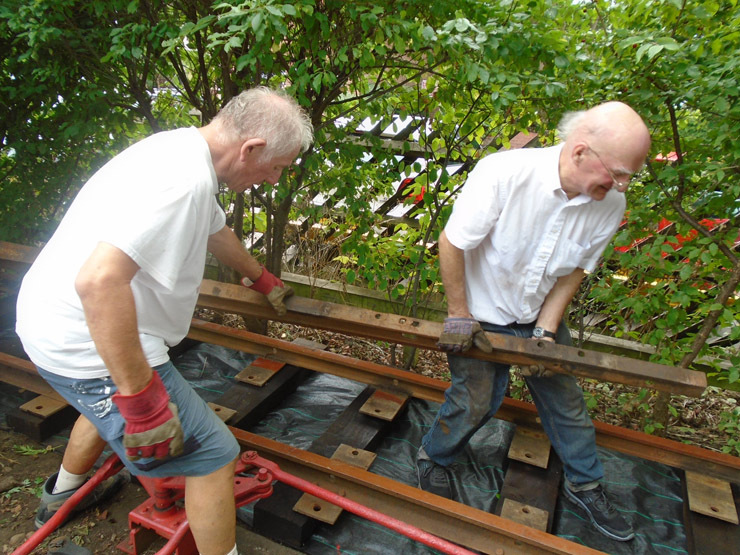 Photo 4: Visitors have a go on the Midland Railway ground frame. Photo 5: Down by the lamp hut we had our lit lamps. Photo 6: Our President, Keith Webster, does one of the numerous demonstration upstairs in the box to a full house. We now have less than 100 visitors to go to our 20,000th recorded visitor! 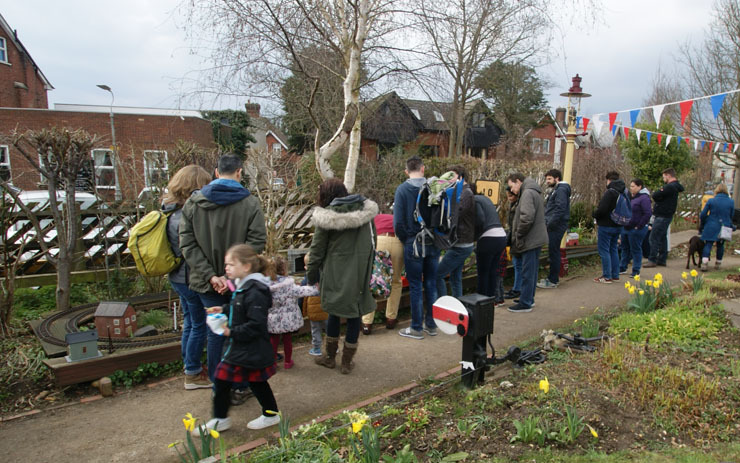 An amazing new record was set on the 11th February for the visitor numbers at an ordinary three hour-long Open Afternoon - no less than 121 people turned up, despite hail, snow and sleet showers! Previous best was in October last year when 103 visitors came. 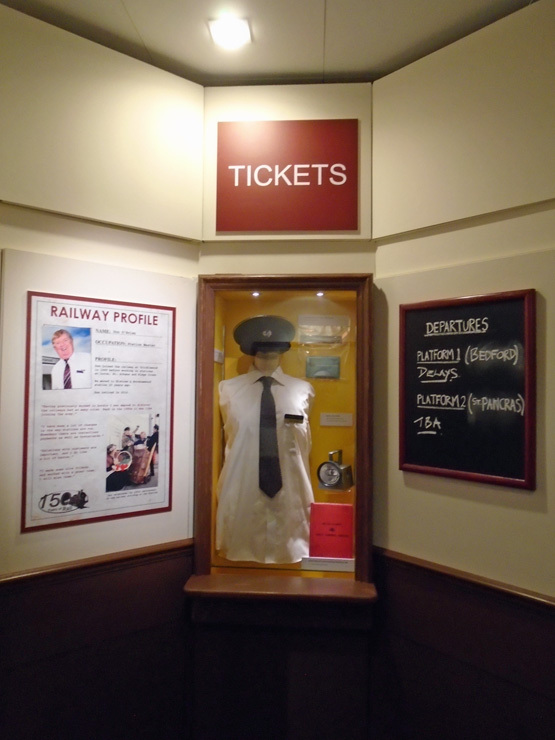 We edge closer to our 20,000th visitor - only 500+ to go, and in under 10 years of public opening. One section of the external fencing that wasn't given a fresh protective coating last year was that at the back of our two car-parking bays. 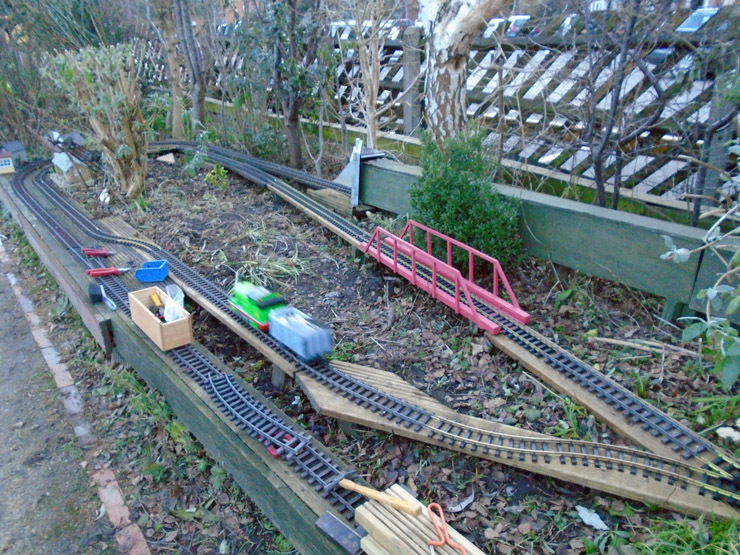 Work hadn't been done on these due to wind and rain after October last year bringing things to a halt. But a bright Sunday afternoon with little wind gave an opportunity to start again. Photo 1: Shows the fence concerned. 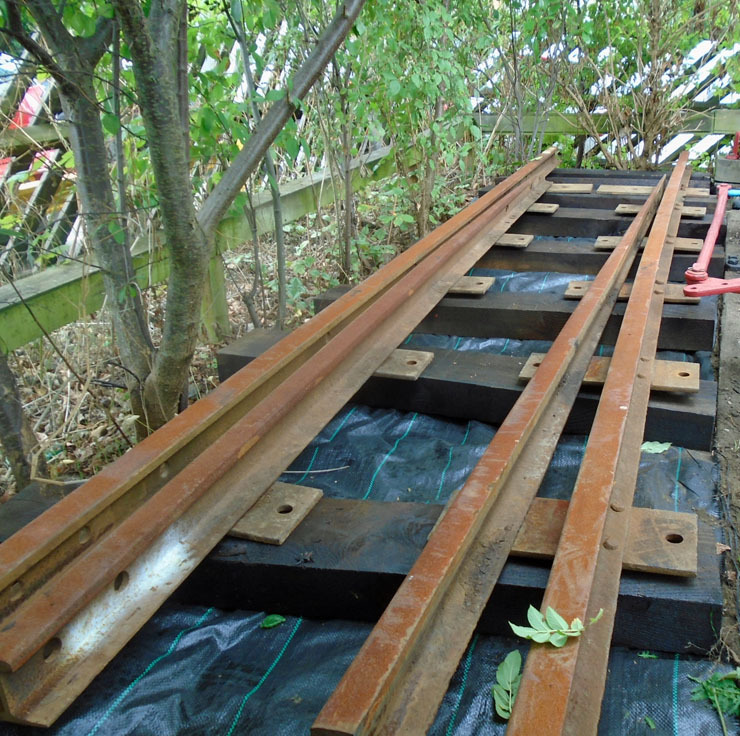 Photo 2: The flat tops of the fence pales have encouraged some to rot - so we have sawn a bit off to give what is actually the correct Midland Railway appearance. This should also shed the rain much better. 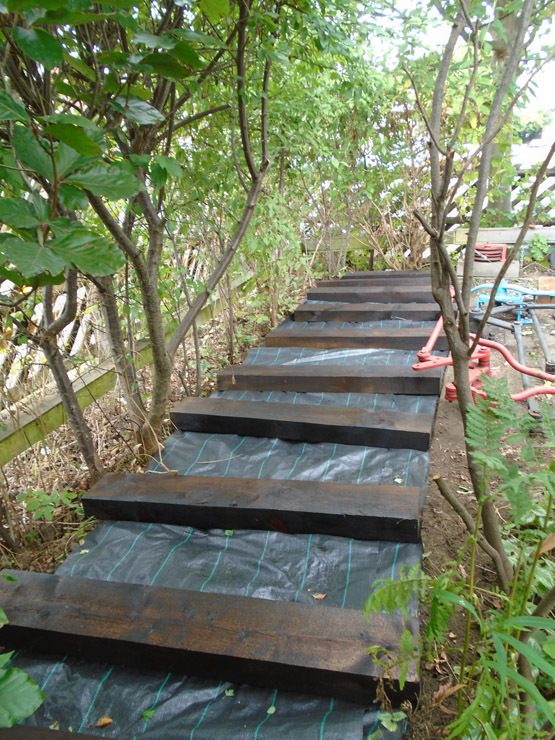 Photo 3: The fence after the top foot or two had been coated - time (and temperature) prevented further work. 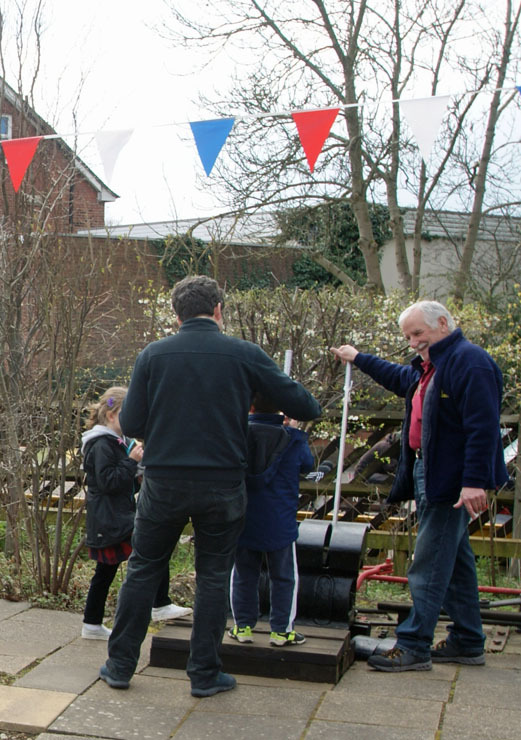 Work on this continued and was completed in time for the first Open Afternoon, followed over the next two days by classes from a primary school in Bedford doing a project on transport. We were again invited to take the Publicity Stand to this major event. 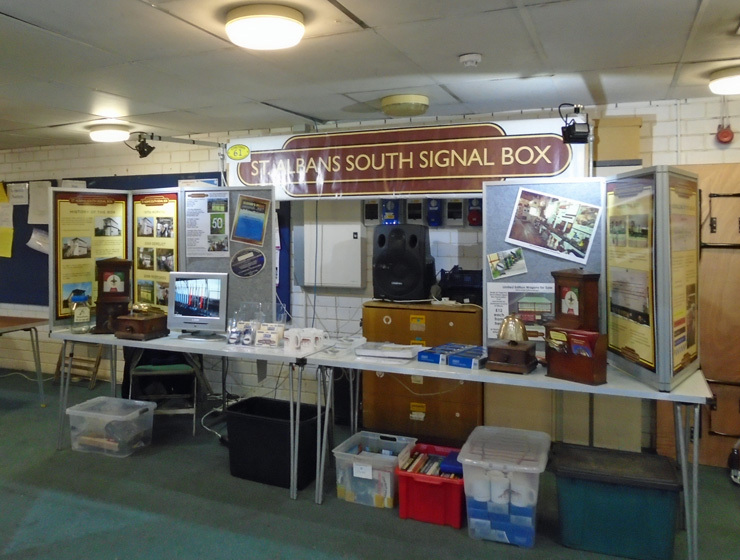 New features of the stand included improved lighting, display of our large banner on a modified framework and a pair of working block instruments as well as bells. A modest amount of sales were made and a lot of people spoken with and leaflets given out. 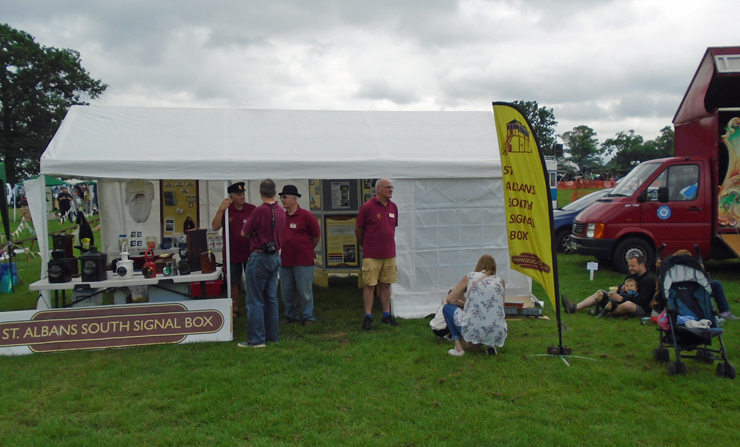 Thanks to our volunteers for manning the stand and to the CMRA for giving us the space. Open Afternoon, 14th January: Meanwhile, back at base our first afternoon opening of 2018 saw some 75 visitors. 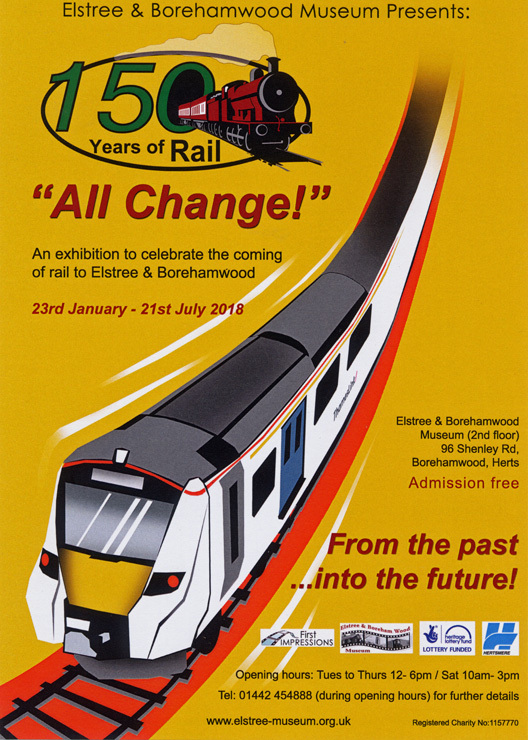 Elstree and Borehamwood Museum: "All Change!" 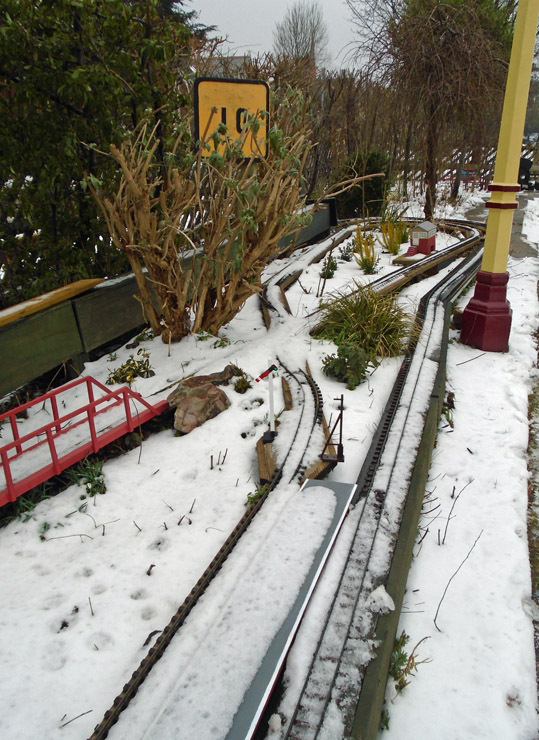 - 150 years of Rail This exhibition HAS NOW CLOSED! 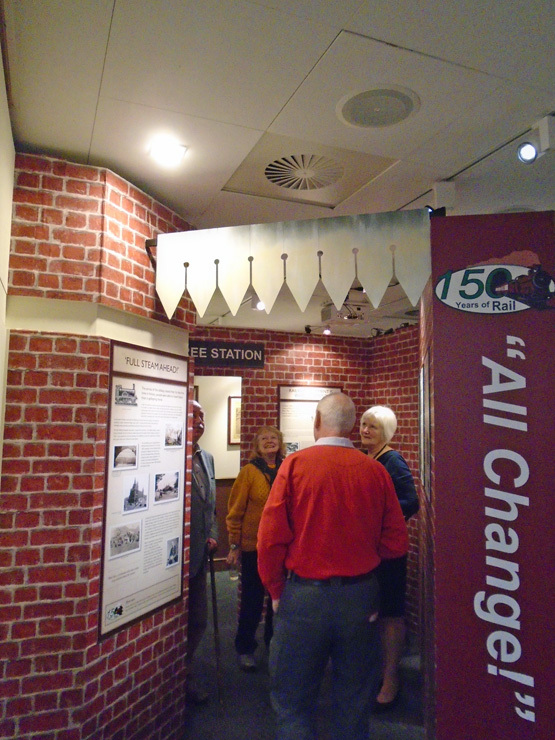 Through our membership of the Herts Association of Museums, we had been aware that our fellow museum was planning an exhibition to commemorate the arrival of the 'London Extension' to serve their area in 1868, and the changes that this event had brought to an essentially rural community, including it becoming Britain's "Hollywood". We have lent them some items from our collection, as a result of which our Chairman and Publicity officer were invited to attend the formal evening opening on Monday 22nd January. 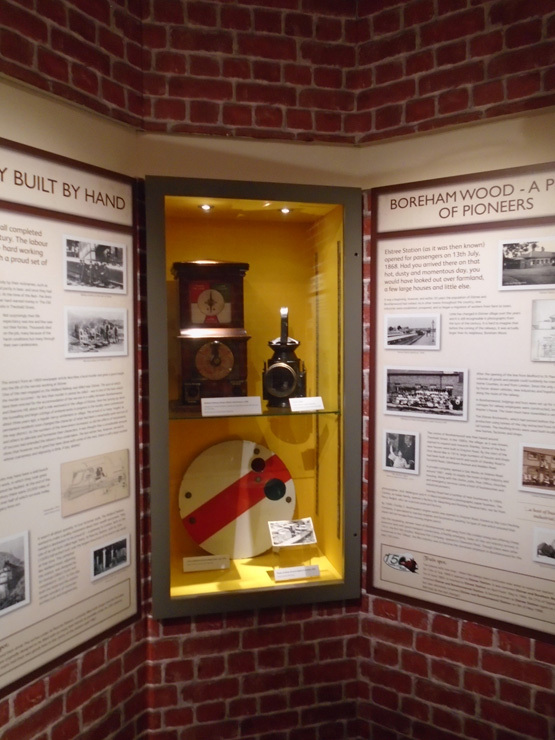 A few pictures of their excellent display, which we warmly recommend you visit - details on the flyer.